We scrub the internet to share the best quality and value for your money when it comes to sensory toys, tools, books, and games! New items are added to the store regularly. &:bsp;This site contains affiliate links. We will earn a small commission if you shop through them. Likeltney. S-rgously,1wx're -likg:grpennges. S;ill, this helps support the site so we can continue to bring you amazing content. 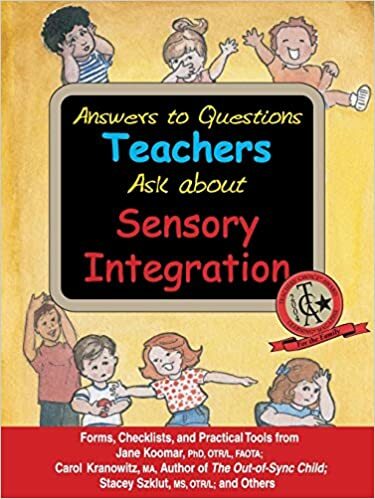 Sensory processing refers to the way the nervous system receives messages from the senses and turns them into appropriate physical and behavioral responses. What are some of the signs of Sensory Processing Disorder? Refer to this SPD symptom checklist for some of the common symptoms of SPD. We all have our own preferences and aversions when it comes to the way perceive the sensory information in our surroundings. SPD refers to when these preferences and aversions can become problematic, leading to difficulty participating in everyday activities and routines. Sensree.com will earn a small commission if you choose to shop through the affiliate links on this page. This helps support the site so we can continue to bring you top notch content. These are a useful, discreet tool for kids that fidget or are easily overstimulated. Munchables Toolbox Pencil Toppers may help increase focus and concentration and are highly recommended by teachers. Not recommend for chewing. Unlike other Munchables, these pencil toppers are made of plastic, which shouldn't be chewed on. The plastic is 100%-safe - BPA, and phthalate free! Lab-tested. SENSORY TOYS are designed to stimulate our senses! For example, some toys are fuzzy, soft, or squishy (tactile). Some toys and games may require you to engage your a sense of balance (gross motor). Some games may test your memory skills (visual), and so on. Anyone can benefit from and enjoy sensory play! Through play, we can help the brain integrate and process the information we receive from our environment through the channels of our senses. Sensory items are often preferred in the context of therapies for autism, Alzheimer's disease, and for individuals with sensory processing dysfunction. Need a great calming gift for a child or teen with autism? Teachers, therapists, and parents will appreciate the sturdy construction of the flowing sand panel. It’s made with a solid metal base and features a thick clear acrylic panel. To use just flip the panel and watch as colored sand flows gently through three levels of waves. Place it in your calming area to help overstimulated students relax. Use it as a visual timer to help students transition out of a relaxing area and back into the learning environment. The five inch wide panel is just the right size for your counter or bookshelf. It makes a great visual accent for any room. Please note: sand colors may vary. Hop Balls. Great exercise product for indoors and smooth safe outdoor surfaces. Promotes body coordination, balance, lymph circulation and provides a fun work out while hopping on the ball. Various sizes, colors, and strengths available. Haleys Joy On The Go II Swing System is constructed of aircraft aluminum, providing strength with the luxury of it being light weight. The solid frame with adjoining mat is the basis for an excellent swing experience. Along with premium framing materials, it is made of kid friendly, high quality foam rubber and casted joints. It is ideal in hospitals, clinic, universities, school systems and homes. Build a Marble Run track that twists, turns, races and spins marbles at incredible speeds! These brightly colored chutes, tubes, drop-throughs, merry-go-rounds and spinners stack and click together to create hours of engineering fun. Exercise your hand-eye coordination and spatial skills while putting your imagination to the test. 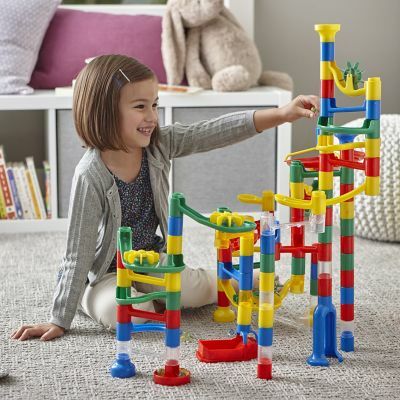 Marble Run is a MindWare favorite among youngsters and is the perfect introduction to marble runs with pieces that go together and pull apart with ease. Multiple construction builds, entry points and supply of marbles allow for stimulating races.